While there are a number of payment options used in online gaming not all casinos offer all of them. Aside from Debit and Credit Card, bank transfer there is instant banking, e-wallet and the new and popular e-check. When the payment is to be made depends on whether the casino is a prepaid casino or not and it’s important to check that before you start as it may determine which mode of payment you would find most convenient. For those who are not familiar with the term e-check, it is essentially the electronic version of a check, except that it’s more eco friendly (or in other words leaves no paper trail) and processing it isn’t slowed down by the formalities and layers of red tape that are typical of traditional payment structures. It works in the same way as other electronic transfer methods like online transfers/remittances etc. It is a safe, swift and simple way to add funds to your account at an online casino. 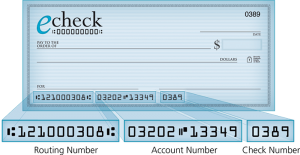 E-checks can be written out to or be received from a player’s local bank, just like with e-wallets like PayPal, which is the most commonly used e-wallet today. In order to use eChecks to deposit funds into your account at your chosen online casino you will be required to go through a one-time activation process by filling out an authorisation form enabling the casino to complete eCheck transactions. You will need to send a voided check as confirmation that it has been activated in order to begin transacting via eCheck. 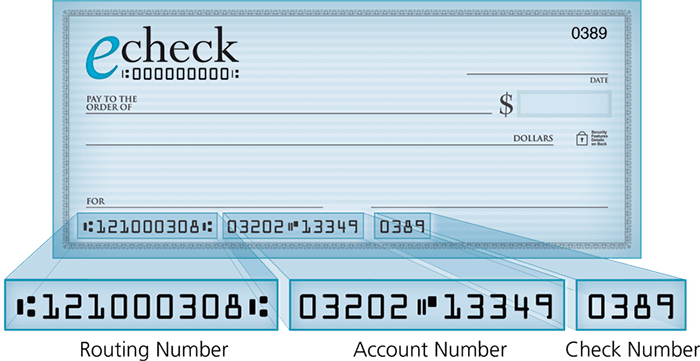 An important prerequisite for activating eChecks is an active checking or savings account. So, if you already have one you’re good to go (but it’s pretty straightforward to open one if you don’t). You can also send eChecks via PayPal, so if you don’t have a checking or savings account but have a PayPal account you’re still go to go. In this case all you need to do is hit ‘send money’ and change the transaction type to ‘eCheck’. If you’re wondering what the time lapse is likely to be between cashing the eCheck and receiving the credit in your account the answer is ‘negligible’ (most of the time) as most eCheck casinos don’t wait for the check to be cleared before crediting your account. Although eChecks are used to make casino deposits, most online gamblers use eChecks to withdraw funds from their casino account to their bank account or e-Wallet. The biggest plus of having an eCheck written is that it is mostly free of charge. On top of that you need nothing more than your bank account to complete the transaction. eCheck is as fast gaining popularity as the preferred method of deposit at online casinos because of its simplicity. For those who prefer to pay for online gambling with a bank account, E-Check payment is the ideal option. It also provides a great way to ensure a budget is always abided by!